We offer an exclusive range of Sewage Vacuum Pumps to our clients, which can be used materials,tra..
We offer high quality submersible pump to our clients. These are designed using advanced manufactu..
Racors is India’s prestigious manufacturer and supplier, engaged in offering a superb range of Racors Submersible Pump. We have with us the support of highly qualified engineers and state of the art manufacturing facility to produce these pumps as per the norm set by the international market. Our pumps are used in construction sites, agricultural sectors and industries for pumping water. 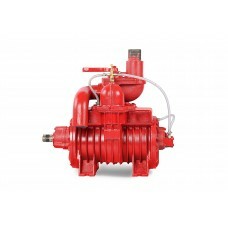 Moreover, our pumps are regarded for their stands for like strong design, less maintenance and advance service life. 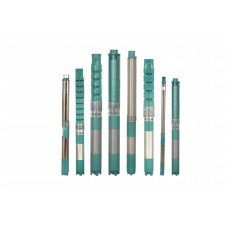 We offer this Racors Submersible Pump to the clients at reasonable prices. For many years we have Sold our Engineers in the Middle East, UAE, Kuwait, Dubai , Bahrain, Bangladesh, Brazil, Sri Lanka, Taiwan, Ethiopia, Greece, Indonesia, Iraq, Kazakhstan, Kenya, South Korea, Malaysia, Nepal, Nigeria, Philippines, Qatar, Saudi Arabia, Singapore, Vietnam, South Africa, Thailand, United Arab Emirates, Turkey, Uganda, Egypt, Tanzania, Zambia, United Kingdom, United States of America, China, Poland, Brunei and Oman. . Besides these we have Sales are Service Center in African countries like Angola, Nigeria, Khanna and Kenya. Our dewatering pumps and Deep Well submersible pumps are proven for the toughest groundwater applications at the most demanding locations.